Automate changes all that. 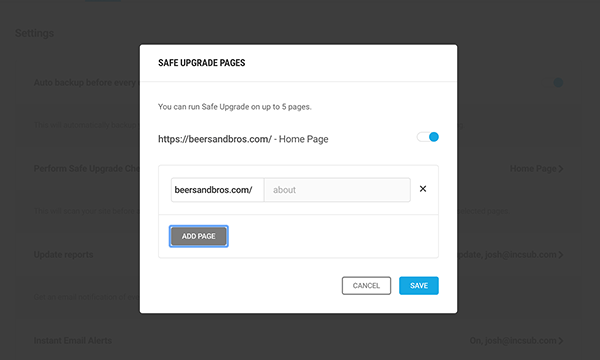 When a core, plugin, or theme update is detected, Automate runs a Snapshot backup, updates your site, and uses Safe Upgrade to scan your home page for changes. If your site breaks it will notify you so you can revert to the previous version. Now Automate will scan and report on each of the pages you’ve added. And if anything goes wrong during an upgrade, you can revert to the previous version. We want to hear from you! 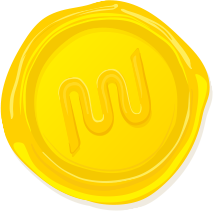 Share your favorite WPMU DEV security feature in the comments. PS Just wondering if it is “Breath” or Breathe Freely? Breathe on, breathe on, breathe on… thanks Mike! The geo blocking is a very nice addition since with WordFence that is only included in the premium version. However in it’s current form, it’s not very usable. For most of my clients, we want to able to block all countries except U.S. and Canada since I service local business in North America. Using this new feature there is a “block all” but that doesn’t then let you refine it and exclude countries from blocking. Unless I’m missing something, I would have to manually go through this list and block every single country one by one (except U.S. and Canada) which would be very tedious. I’m bummed too because I was looking forward to trying this out on one of my site that I let my WF subscription expire. I’ll keep an eye out for an update hopefully that could improve that experience. Thank you! It is possible. First you block all countries in the blacklist, afterwards you can whitelist certain coutries, this overides the blacklist. Simple. I did miss something! The include countries options! Wow, this is great. Scratch my last comment! Will there be an option in Defender to only block back-end access based on geolocation by IP-address? For various sites I don’t want to block ‘the rest of the world’ from the front-end, but only from the back-end. The addition to let Automate scan more pages is very welcome! I didn’t notice that possibility yet! I am super impressed with the hosting so far, especially for the price. And everything tied together with speed, automation and security rocks! I haven’t pushed the hosting to it’s limits yet, but after a little more testing I will probably be moving all my clients over. Hopefully, our hosting platform will be able to cover all of your needs. I’ve been getting so many login attempts with my usernames. My websites aren’t really getting any traffic. Just the other day, I had about 30 login attempts. I get so many emails. Not even sure if this is normal? There are many bots that try to login to your website. You could probably make Defender’s IP Lockout settings a bit more strict, or even change your username and add the old one in the list of the permanently banned users. Up to 5 pages now? That’s very nice! I had about 300 login attempts in the last 3 days. After refining the settings of Defender : Banned usernames – banned countries – blacklists IP’s, aso. No more attempts the last 8 hours. Thanks WPMUDev. That’s some exciting news Guy! :) I’m glad that Defender was able to assist you so well!